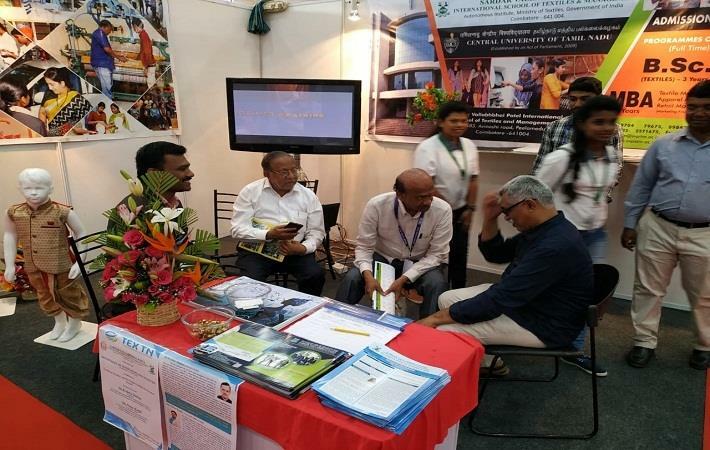 Department of Handlooms and Textiles, Government of Tamil Nadu and Sardar Vallabhbhai Patel International School of Textiles and Management (SVPITM) jointly organised a seminar on technical textiles and its opportunities in defense sector at Codissia trade fair complex, Coimbatore on Jan 28, 2019. It was part of the Tex TN, textile product exhibition. The existing and budding textile entrepreneurs in and around Tamil Nadu were the target audience. A total of 180 existing and budding textile entrepreneurs from in and around Tamil Nadu participated in the event. The seminar was delivered by two expert speakers namely, Neha Kapil, senior scientific officer, North Indian Textile Research Association (NITRA), Centre of Excellence for Protech, Ghaziabad and Dr. R Indu Shekar, scientist F, Defense Bio Engineering and Electro Medical Laboratory (DEBL), Defense Research and Development Organisation (DRDO), Bangalore. The topic, ‘NITRA Initiative in protective textiles: special attention on riot control body protector’ was presented by Kapil where she briefed the participants on the various features that a garment should include so that it can be used as riot control body protectors. She introduced various services offered by NITRA.